Posted on June 12, 2013 by Pat B.
E3 has come and gone and now we can look back and declare a winner. Sony came out fists swinging on Monday night and landed every punch it threw at Microsoft. Sony’s first strike was confirming that the PlayStation 4 will support used games and also allow consumers to re-sell or trade in their already purchased PS4 games. The second strike was confirming that the PS4 won’t require an Internet connection to play games… at all. 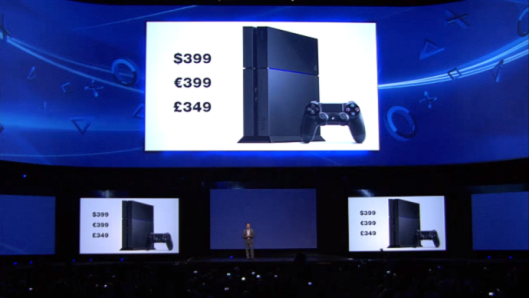 With Microsoft on the ropes, Sony dealt the final blow by confirming a $399 price tag, $100 cheaper than the Xbox One. 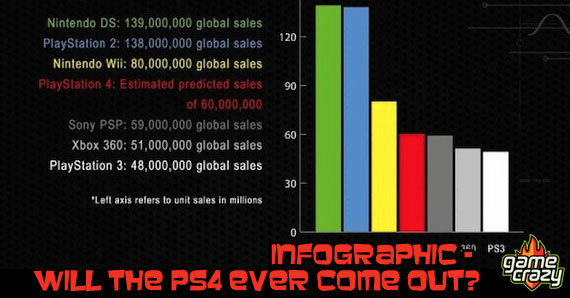 Sony was on a roll and this graphic riled the crowd up into the last frenzy of the presentation. In that one ten-minute segment of the presentation, Sony alleviated all of the fears and worries about its next-gen console. The relief of the gaming community took the form of thunderous applause and cheers from the crowd. At one point, cheers of “Sony! Sony! Sony! Sony!” could be heard. 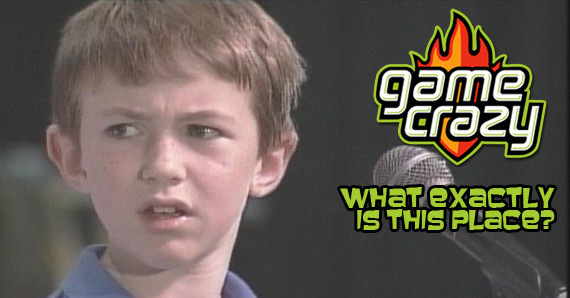 When’s the last time you heard a crowd cheer like that for a console developer at E3? 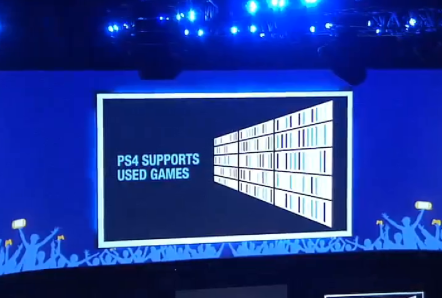 The second this graphic appeared on the screen, gamers felt a huge weight being lifted off their chests. 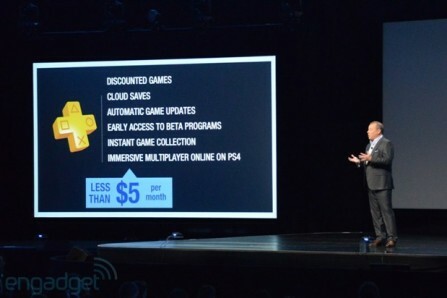 However, Sony did use the momentum gained from all that applause to sneak in one small thing: PS Plus membership will be required in order to play games online. 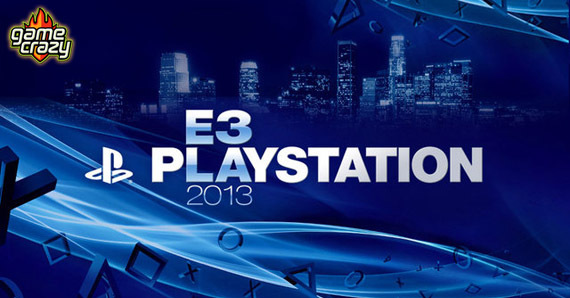 This is a big change from the current free-to-play model on the PS3. Wait, what’s that last line say? Whatever, I can buy a PS Plus membership with the change in my car’s cup holder. It didn’t matter, though. Gamers were so relieved that gaming as we know it will continue into the next generation that it seemed like people in the audience had already started counting the change in their pockets to buy a PS Plus membership before the presentation was even finished. Required PS Plus membership is nothing compared to the restrictions being placed on the Xbox One. As for Microsoft, it may be out cold in the middle of the ring after a brutal E3 beating, but only time will tell if it’s down for the count. This entry was posted in E3, Playstation, The GC Blog and tagged E3, Microsoft, playstation 4, Sony, xbox one by Pat B.. Bookmark the permalink.